A complete kit to coat your tires with the longest lasting protection! The McKee's 37 Tire Coating Kit is the easiest way to apply McKee's 37 Tire Coating to your tires because it includes EVERYTHING you need for proper application. 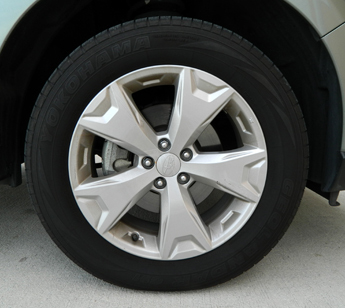 McKee's 37 Tire Coating is a semi-permanent, resin-based coating that forms a durable, flexible shell of protection on your tires. 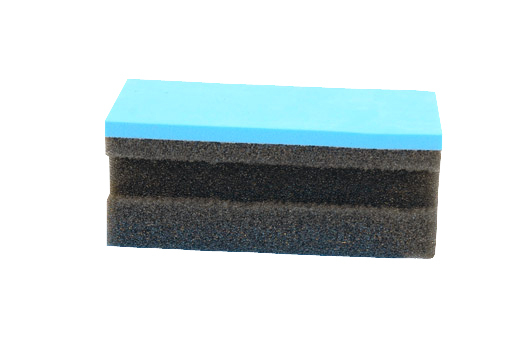 In order for the tire coating to properly bond, the surface MUST be properly cleaned using the specialized tire cleaner and brushes in this kit. Purchasing the McKee's 37 Tire Coating Kit saves you money and ensures success. 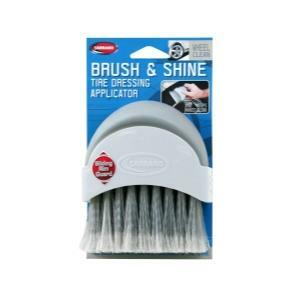 The Carrand Brush & Shine Tire Dressing Applicator applies tire dressings evenly and neatly. 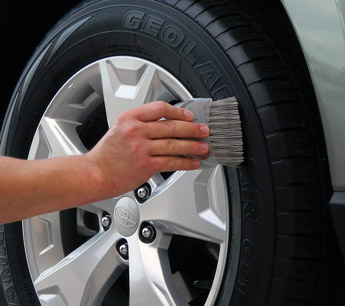 Feathered bristles distribute the tire protectant while the sliding rim guard keeps your hands clean. 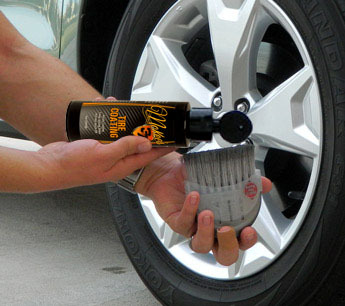 Apply tire dressing just like the pros do it with the Carrand Brush & Shine Tire Dressing Applicator! Our Black Nitrile Gloves will give your hands all the protection they need from polishes, grease, and solvents without reducing your tactile sense. Textured Black Nitrile Detailing Gloves allow you to grasp tools and bottles securely. Perform your toughest detailing jobs. Black Nitrile Gloves are tear and puncture resistant. They work almost as hard as you do! McKee's 37 Tire & Rubber Rejuvenator 128 oz. 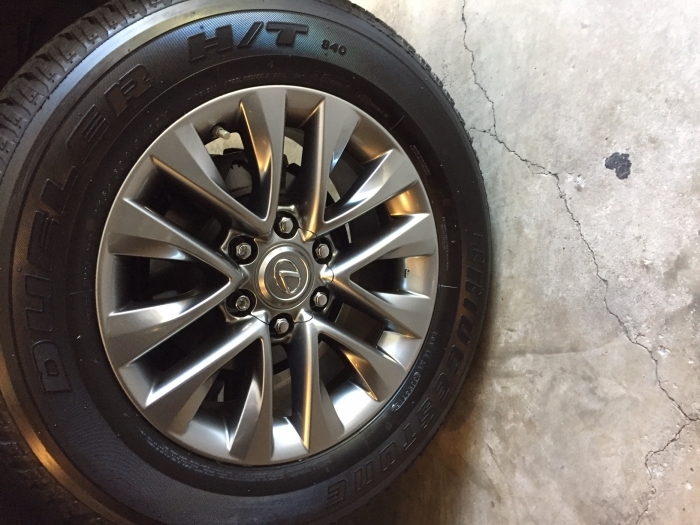 Works real well nice sheen on tires.But a long process to apply, but I like the results, you should jack up car so you can turn the wheel to get the product all the way around the tire. This kit has everything needed to treat your tires. The ease of use and longevity of protection was what i sought. Since I applied it very recently and have only washed the car once, I canâ€™t speak to the longevity, but it appears to be better than the box stores product. One coating suited my taste, but additional coates leaves a more shiny appearance. I will buy it again. The McKeeâ€™s 37 tire product worked as advertised. Easy application with outstanding results. Although the rubber cleaner needed help in my situation ( there was quite a bit of old tire coating to remove ) , everything worked great . 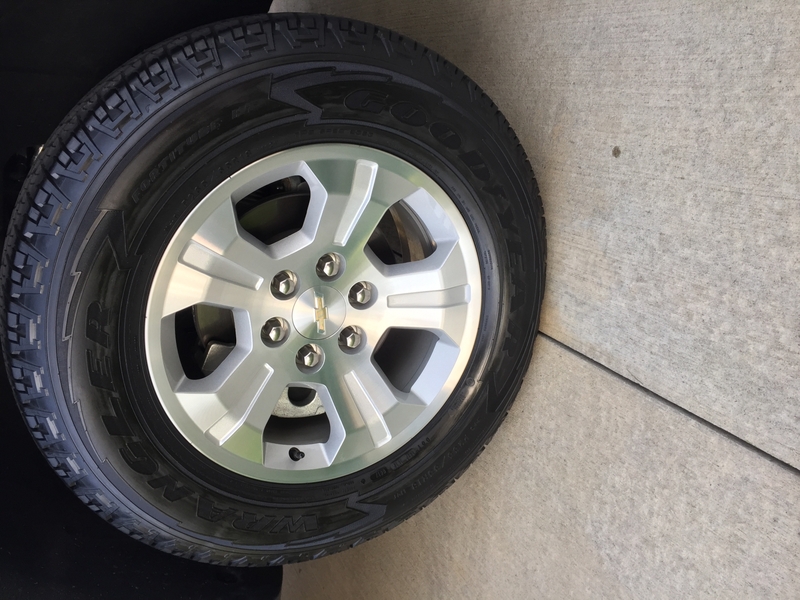 The tire coating is really nice and the little bottle has done 2 coats on one car , three on another ( I was going for shine ) and one coat on a Silverado - and there is enough left to easily do one if not 2 more cars. Excellent product and great packaging as well. 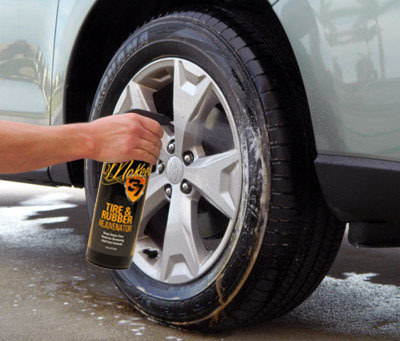 I've tried many tire dressing products--foams, liquid sprays and gels and got tired of the messy applicators and having it sling off the tire if I applied too much, as well as just not lasting very long. I gave up on foams years ago after finding polymer liquid spray products, using Meguiar's Hot Shine for years with very good results for the price--no sling, great wet look, but didn't last very long and I'm fairly certain it turned tires brown when the product would fade away. After finding Autogeek, I tried the Sonax gel--easier to apply as it's a gel, gives a high gloss wet look, no browning--but VERY difficult to apply sparingly--too much and it will fly off. But, it lasts quite a while and is my go to dressing for that high gloss wet look (now only if they could keep their bottle applicator cap from leaking). I decided to try this kit as I've been very pleased with McKee's 37 products and it's advertised as lasting quite a long time once applied (correctly). So this review is for the entire kit. The towels and gloves are nice, but a true Autogeek has all this anyway, so nothing to review there. The Tire and Rubber Rejuvenator is great, and got the tires clean with the included scrub brush as shown in the video. This prep does indeed take a while but you will see a difference in how clean the tires really become compared to just using soapy water and a brush. Don't use the TRR in direct sunlight as the TRR will evaporate/dry more quickly and it won't clean as well. I used approximately 1/3 of the bottle cleaning my GX 460 tires with a high sidewall. The product smells very much like Meguiar's Hot Rims wheel cleaner, so I'm curious about how chemically unique this cleaner is. Either way, did the job as advertised. The included cleaning brush did well and seems to be good quality; we'll see how it holds up. 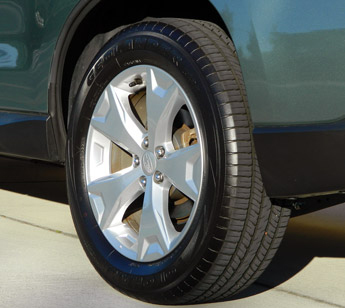 Tire Coating: This can be a messy step as the coating is more liquid than gel. I applied using the brush and it goes on evenly, doesn't run off and is very easy to work with. The brush is a great addition to my tool kit as well. After about 30 minutes the coating sets up and is dry to the touch--non-tacky, doesn't rub off. I hit the tires again for more gloss/shine. The great thing about this product is that it is so easy to work with and you do not need a lot--this little bottle will do many more vehicles. If it lasts as long as advertised, I'll throw all my other cleaners and dressings out except for the Sonax and use these McKee's products.